A Dharma Center is a Center set up for the study and practice of Dharma, or Buddhism. A Dharma Center is a Center set up for the study and practice of Dharma, or Buddhism. There are many different Dharma Centers, within the different Buddhist traditions. Within the Kadampa Tradition of Buddhism, there are now over 1100 Kadampa Buddhist centers and study groups in many countries around the world where people of all cultures can train in meditation and other Buddhist practices. Kadampa Buddhism was first introduced into the West in 1977 by the renowned Buddhist Master, Venerable Geshe Kelsang Gyatso. 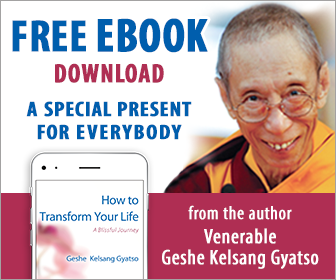 Since that time, he has worked tirelessly to spread Kadampa Buddhism throughout the world by giving extensive teachings, writing many profound texts on Kadampa Buddhism, and founding the New Kadampa Tradition (NKT). Each Centre offers study programs on Buddhist psychology, philosophy, and meditation instruction, as well as retreats for all levels of practitioner. The emphasis is on integrating Buddha’s teachings into daily life to solve our human problems and to spread lasting peace and happiness throughout the world. The Kadampa Buddhism of the NKT is an entirely independent Buddhist tradition and has no political affiliations. It is an association of Buddhist Centres and practitioners that derive their inspiration and guidance from the example of the ancient Kadampa Buddhist Masters and their teachings, as presented by Geshe Kelsang.